A Mexican national facing the death penalty and the investigator who hopes to save her become hopelessly entwined. 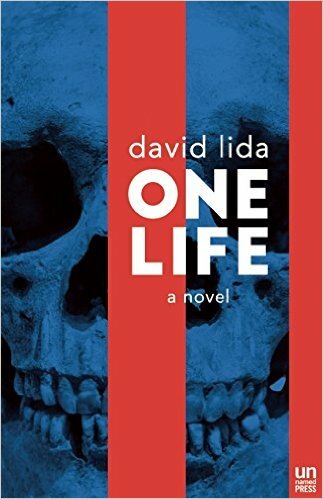 In journalist David Lida’s first novel, One Life, two lives are featured, although only one is apparently threatened. Richard is a mitigation specialist. A gringo based in Mexico City, he investigates the backgrounds of Mexican nationals accused of capital offenses in the United States, hoping to dig up enough ugliness and trauma for the courts to consider a lesser sentence–like life without parole. Esperanza came to south Louisiana for the rumored bounty of well-paid jobs cleaning up after Hurricane Katrina. She now faces the death penalty for killing her infant daughter. Richard has always maintained walls between the tragedies he studies professionally and his own life; he is expert at enjoying what he thinks of as stolen moments of happiness. But as he learns about Esperanza’s background, living in a dusty village to the rough side of Ciudad Juarez, her stoicism and mystery destroy his detached calm. One Life‘s perspective shifts between a third-person view of Esperanza’s life and Richard’s first-person voice, speaking from a murky future. The reader therefore knows more than either protagonist, although the novel’s central secret is reserved for the final pages. Neither a mystery nor a thriller, this story is briskly paced but not rushed: there is time for Richard to mull the emotional holes in his own life, and for Esperanza and secondary characters to consider and reconsider their limited options. Poignant and exquisitely detailed, One Life brings nuance and a personal voice to a deeply tragic story. This review originally ran in the October 21, 2016 issue of Shelf Awareness for Readers. To subscribe, click here, and you’ll receive two issues per week of book reviews and other bookish news. Rating: 7 cans of Coke.